Be Curious. Change the world. Meet us at Stanford University on November 5th! 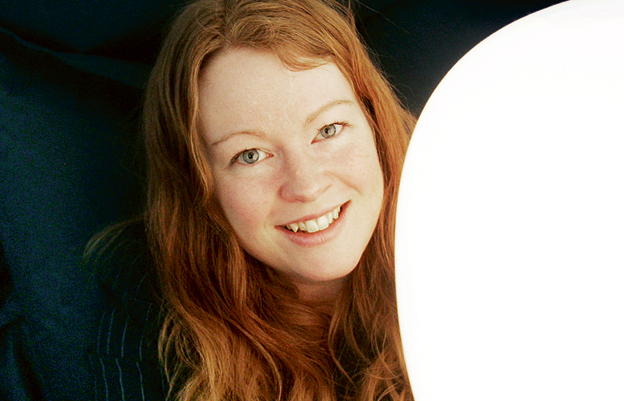 Cecilia Hertz is the Founder & CEO of Umbilical Design. In 2009 she initiated the Down to Earth project – commercializing space technologies for a sustainable earth – a Swedish ten-year initiative that targets global challenges regarding energy, health care, transportation, water, climate change and mega cities. The interdisciplinary project involves space agencies, companies and universities to identify sustainable solutions inspired by space technologies. She has worked with clients like Electrolux, Volvo Cars, SKF, Academedia and Lidköping Municipality. Space Technology Transfer, with NCC, how can space materials contribute to more energy effective house constructions, with Scania, creating more volume effective truck cabins for a better working & living environment for the driver. Umbilical Design was given the contract by ESA, European Space Agency 2009 to initiate and develop the Swedish NTTI, National Technology Transfer Initiative. Space tourism – Inflatable interior design for a parabolic flight plane, for tourists. Interior design for the Crew Return Vehicle, initiated as a Diploma work at Lund Institute of Technology, developed in cooperation with NASA, JSC and ESA, ESTEC. Zero-gravity experience – prototype testing of design solutions in ESA Parabolic Flight Campaign, France. Image of Sweden: Our openness to new products, concepts, technologies – both to identify them if they exist or contribute to the development. Our possibility to work in teams. Learn more: Meet Cecilia Hertz: Five questions for space industrial designer Cecilia Hertz, CEO and founder of Umbilical Design. Down to Earth is a Swedish ten-year initiative that involves space agencies, companies and universities seeking to identify sustainable solutions inspired by space technologies. Down to Earth targets current and global challenges by specifically showing how space missions deal with scarce resources, such as energy, water, air and living space. The space sector is an untapped source of know-how with a huge potential for technology transfers to Earth-bound businesses. The goal is industrial renewal, job creation and sustainable growth, which requires new thinking and new methods. Down to Earth catalyses challenge-driven innovation processes aiming to co-create the next generation of products and services that lead to new businesses and ventures and exciting new jobs for young people. This entry was written by admin, posted on November 2, 2011 at 14:10, filed under . Bookmark the permalink. Follow any comments here with the RSS feed for this post. Both comments and trackbacks are currently closed.